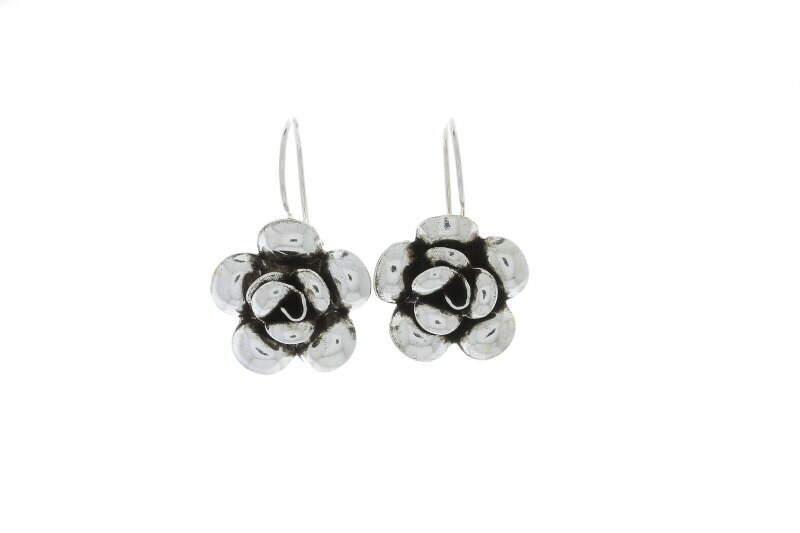 Sterling silver full bloom rose earrings. A rose is the ultimate symbol of love and beauty. Material is solid sterling silver. Has a lovely dark patina.